The last twenty years have seen rapid development of the equitable action for breach of confidence. The Spycatcher saga of the late 1980s led to the restatement of the fundamental principles. There was increasing concern about press intrusion, and the need to protect privacy rights guaranteed by Article 8 of the European Convention in the wake of the Human Rights Act 1998. Against that background, a number of high-profile cases-such as Campbell v MGN Ltd (2004)-explored how common law principles laid down in the nineteenth century might be adapted to twenty-first century conditions. How far will the law go in protecting privacy? Meanwhile, in the “information age”, the law has had to grapple-for instance in Douglas v Hello! Ltd (2007)-with how best to protect the commercially valuable information and when it should assist those who wish to exploit it. The result has been rapid development of the law in many diverse areas. The Law of Confidentiality: A Restatement goes behind the mass of cases to tease out the fundamental principles underlying the modern law. It examines the central questions of substance: the circumstances in which information is protected by law, and how it responds to conflicting public interests. It also looks at the important practical questions of procedure and remedies. 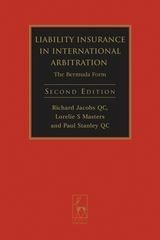 It aims to be useful to those looking for a guide to the main principles and controversies in the field, and also to the practising lawyer looking for a clear statement of the basic principles. “Paul Stanley's book convincingly demonstrates that the age of restatement has not passed, and that there is a place in the literature on confidential information for a propositional text. The book is an important addition to the literature on confidential information. It is strongly recommended to all lawyers who grapple with this fascinating area of legal inquiry.